If you were watching the Republican primary debate tonight, you may have heard the candidates asked which American woman they would choose to put on one of our bills. Some candidates recommended their female family members, several defaulted to Rosa Parks, and one guy said Margaret Thatcher (“because, why the heck not?”). 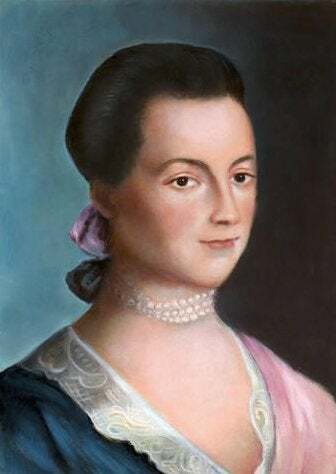 Chris Christie chose Abigail Adams and I’ll give him points for originality, if not for anything else he said in the debate. This whole chain of answers was pretty disappointing to me because there are so, so many awesome, admirable American women who deserve to be recognized in such a public manner! But instead of taking the opportunity to endear themselves to people who feel like the civic achievements of women should be recognized, these clowns decided to joke around about their female relatives. If I could put any American woman on a US bill—let’s just say, to replace Andrew Jackson on the $20—I’d probably choose either Harriet Tubman (because she risked life and limb to rescue others from the indignities of slavery and became a suffragette later in life) or Sally Ride (because she made history as the first American woman in space, duh). If you could pick one American woman to put on a US bill, who would you choose and why? How to Talk About Vaccines With Relatives Who Might Be Anti-Vaxxers?